Welcome to Must Read, where we single out the best stories from around the automotive universe and beyond. Today we have reports from Autoweek, Petrolicious, and The Wall Street Journal. Friend of Jalopnik Blake Z. Rong sure likes Saabs. Here, let him tell you. 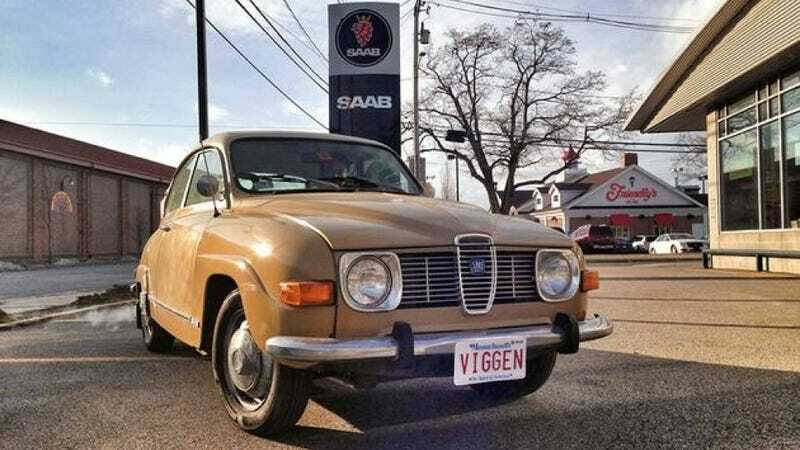 Despite being the approximate speed of molasses but less deadly, a 1973 Saab 96 trundling around Boston, Massachusetts will either delight fellow drivers or raise bewildering, rubbernecking confusion. The citizenry — notorious for the cursed appellation that traditionally describes their driving style — never get angry. Trapped behind the Saab's puke-yellow flanks, they abstain from raising a hand to the horn. As the Saab pulls to a stoplight, the pedestrians in their heavy wool peacoats saunter past, mouths agape, eyes boggling at this artifact: how can two people fit in that thing? Is it going to take off under its own power? And more importantly: what is it? Today's story begins in Germany, continues in the US and then returns to the continent, albeit Hungary. It has four wheels and drives like a car. It also has twin screws and swims like a boat. Welcome aboard the Amphicar 770! It isn't a particularly good car, nor is it an especially good boat. Frankly, the car doesn't make much sense; it's essentially an absurd recreational vehicle. But that's why people love it. How long till we drive in total silence? It's a paradox of today's advanced car design: The more auto makers succeed in muting sounds coming from outside, the more drivers are hearing the annoying little chirps, rattles and drones on the inside.